Few of us can imagine a life without our eyesight. But tragically, some people are forced to do so due to the negligence of others. And when the loss of vision comes later in life, the adjustment issues can be overwhelming and often lead to depression and anxiety on top of the other problems associated with the vision loss. 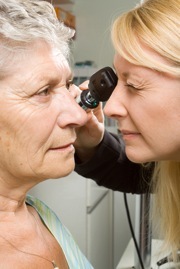 Optic nerve damage and optic neuropathy are sometimes caused by medications. Optic nerve damage or optic neuritis is inflammation of the optic nerve, which is responsible for carrying information from your eye to your brain. When the nerve becomes inflamed, it can result in pain and vision loss. Optic neuritis can be caused by a number of diseases such as multiple sclerois and lupus. But sometimes, it can be caused by medications. For instance, Myambutol, a drug used in the treatment of tuberculois, has been linked to the development of optic neuritis. Optic neuropathy is a more general eye disorder but it can also be drug-induced. For instance, in some cases, the drugs disrupt the flow of blood to the optic nerve. Other drugs can damage the body's connective tissue which creates increased risk for retinal detachment. Or, the drug can cause conditions like Floppy Iris Syndrome. If you or a loved one has suffered an eye injury due to a drug or medication, contact one of our premier eye injury attorneys to discuss your case. Our injury attorneys have more than 80 years of experience in investigating, preparing and trying complicated medical cases. We work with our in-house nurse and outside experts to ensure every avenue of recovery is fully explored. At The Law Offices of John Day, P.C., we offer our injury clients excellent service which shows in the results we have achieved, the awards we have received and the praise of our clients. If you would like to discuss a potential claim, please contact us online or call us at 615-742-4880 or 866.812.8787 for a free, no-obligation consultation. For more information on our fees and case expenses, click here.